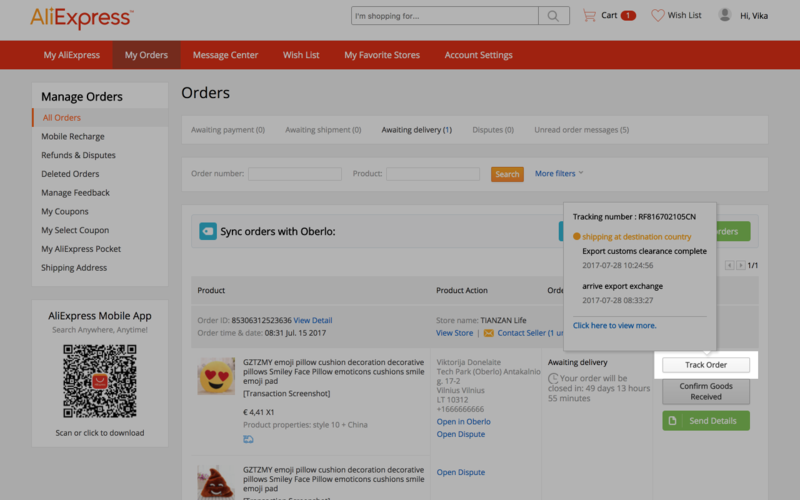 Once the order is fulfilled, the tracking code will appear in Shopify and Oberlo next to the order in Orders page. Note: If you dropship products from the AliExpress platform, you can also find the tracking code on the AliExpress platform. Go to My Orders page and move the mouse on the "Track Order" button to see the tracking code.